A powerful browser extension for online shoppers! Hand picked money saving coupon codes collected directly from 1500+ online stores for more saving. 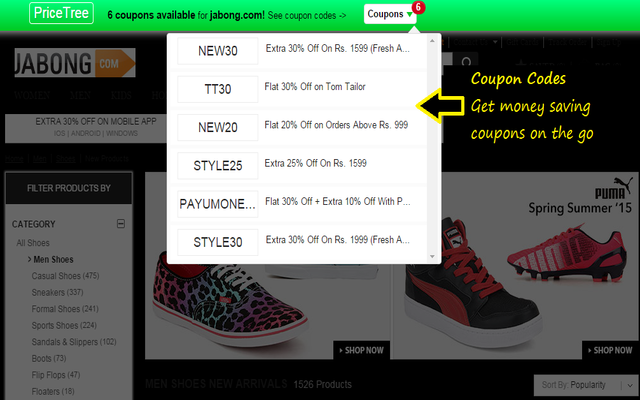 Now no more time waste on searching for coupons on websites have irritating popup and opening tabs with hidden coupon codes. We will get you best money saving coupon codes automatically. Best money saving coupon codes can save up-to 40% in ecommerce and around 25% on travel websites on the go. It works with 1500+ online merchants. 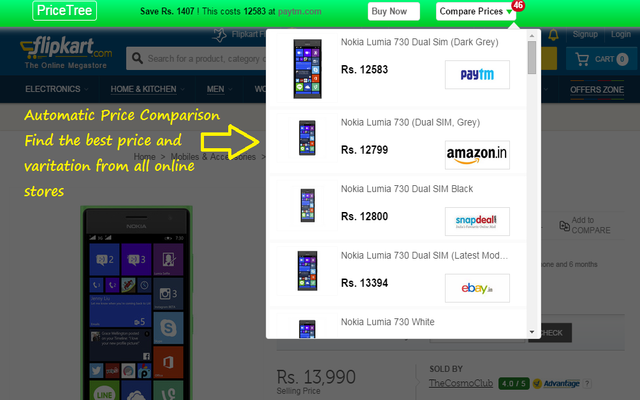 Want to keep an eye on your faviorate product price on Flipkart, Amazon or Snapdeal? 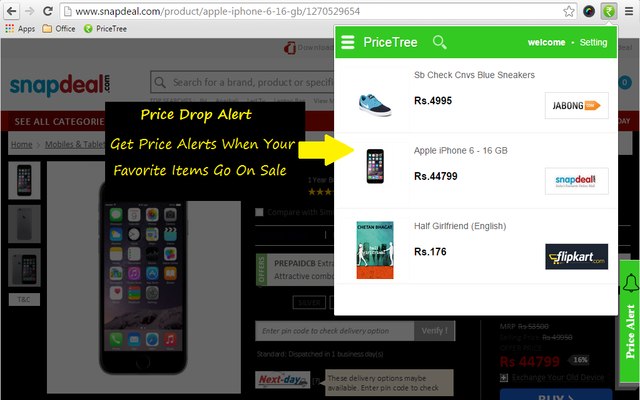 create price drop alert in a second and get notification when the item go on sale. PriceTree will keep monitoring ecommerce site 24*7 and immediate alert you on desktop notification as well on email when found a better price, on sale or increases. Saving was never so easier before PriceTree! Learn everthing you should know about PriceTree plugin for Chrome! 18 New websites added for price comparison. Price drop alert notification schedule changed to track price every half hour and notify immediately. A bug fixed on background script which was not marking notifications as read after one time alert.